Messi Wins Hearts of Fans After Nominating Ronaldo For FIFA Best Player Award, What Ronaldo Did? 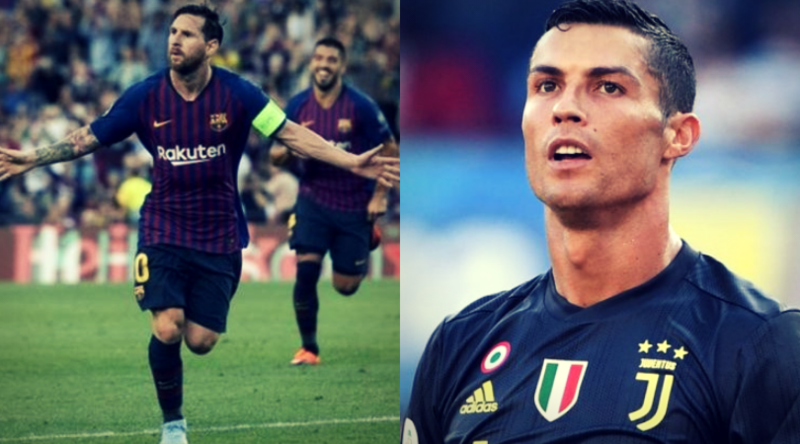 September 26, 2018 Piyush SharmaSports1 Comment on Messi Wins Hearts of Fans After Nominating Ronaldo For FIFA Best Player Award, What Ronaldo Did? As we all know that the Monday evening belonged to the Croatian football star Luka Modric after he beat the likes of Messi and Ronaldo to win The Best FIFA Football Awards 2018. Meanwhile, FIFA has recently published the full breakdown of the person who voted for the top 10 FIFA Best players 2018. Well, the award was decided by a collection of votes which comes from the skippers of each international team, designated media officials and their managers from each country. Meanwhile, each voting player has to make 3 decisions- a 1st-placed player would receive 5 points, a 2nd-placed player to receive three points along with a 3rd-placed player to receive one point. Modric won the award with 29.05 percent of the vote after helping Real Madrid win a 3rd consecutive Champions League crown while Salah got 11.23 percent and Ronaldo received 19.08 percent and leading the Croatian football team to the finals. After the ceremony, FIFA revealed the breakdown of the vote along with some interesting surprises among the selections. It was pleasing to see that Barcelona star Messi voted his rival Ronaldo in 3rd place with Kylian Mbappe in 2nd and Modric in the first place. While fans were shocked to know that Ronaldo never voted for Messi at all, placing his former Real Madrid team-mate Raphael Varane in 3rd, with Kylian Mbappe in 2nd place and Modric in 1st. Harry Kane was given a vote by Dion Godet, the coach of the Bahamas along with Gary White, the coach of Chinese Taipei but was not placed at the top by the fellow players. Also, Kane chose Ronaldo in 1st, Messi in 2nd along with Kevin De Bruyne as 3rd. Messi voting Ronaldo as top 3 and Ronaldo excluding Messi to put Greizmann ahead is why I’ll always stan Messi. Interesting to see who voted for who in the FIFA best awards. Lionel Messi gave Cristiano Ronaldo a 3rd place vote. For the first time in my life I must admit my admiration for Lionel Messi in the FIFA Awards. Messi wasn't part of the Top Three Nominees but he voted for Cristiano Ronaldo in the Top Three ranks. MS Dhoni Retirement : Is it the right time that India looks beyond MS Dhoni?